Pros Stands out for its efficient fluid resistance unit, which closely mimics effort levels of traditional road bike rides. Cons Some users find the setup instructions confusing. 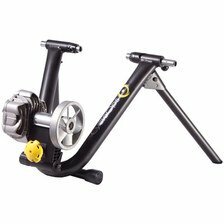 Summary No doubt the best trainer on the market for its consistent performance, reliability, and quiet operation. Pros Gets top marks for its heavier flywheel, which maximizes performance and stability. 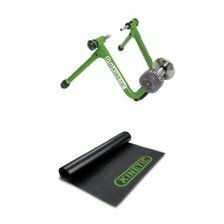 Summary Satisfied customers find this trainer makes up for its steep price thanks to its overall durability and versatility for users of all abilities. Pros Attracts customers seeking a portable lightweight trainer without sacrificing stability or performance. Cons Lacks front wheel support. 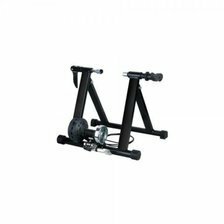 Summary A solid choice for an affordable entry level trainer. Pros Garners praise for its smooth and quiet operation, not to mention the fact that it's leak-proof. Cons Higher price tag than its competitors. 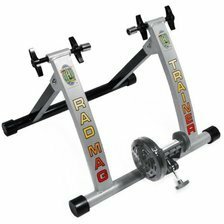 Summary Customers who pay more for this trainer don't regret it, but there are very similar units on the market for less. Pros A top choice for its numerous resistance levels and stress-free setup. Cons Can get loud at higher speeds. 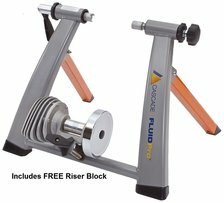 Summary You won't find a better all-around trainer in this price range, making it the best bang for your buck.